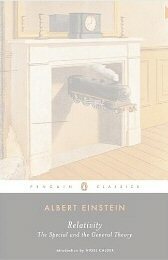 A re-issue by Penguin Classics, also for the Einstein Year 2005, of the maestro’s own early explanation for non-experts, with high-school maths. Nigel Calder wrote an explanatory introduction. 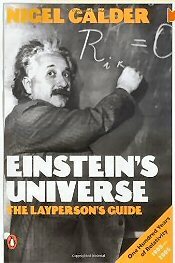 This entry was posted on Thursday, May 6th, 2010 at 18:31 and is filed under 1b) Einstein's Universe. You can follow any responses to this entry through the RSS 2.0 feed. Both comments and pings are currently closed.